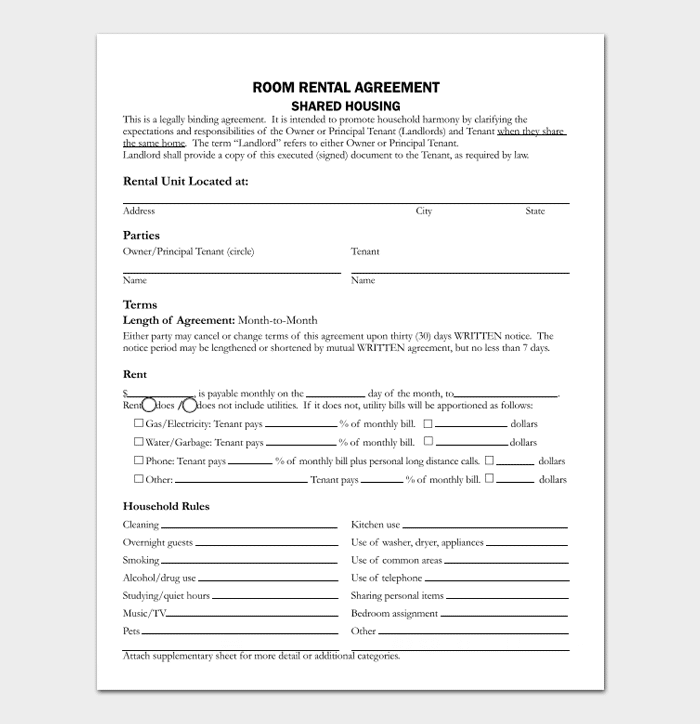 This is a filled form between two or more parties concerning the rental arrangements and cost to be incurred before settling in. With the said condition all is set properly regarding the responsibility, damages and maintaining. It also covers the bills and who is responsible. In any case one may use the rented place for other commercial interests, it should be agreed upon to help make the do and don’t. The agreement has a strict term in which it can be valid or termed void and null. An agreement is a lawful acceptance amounting to use of property, or any other engagements between two or more people/parties. 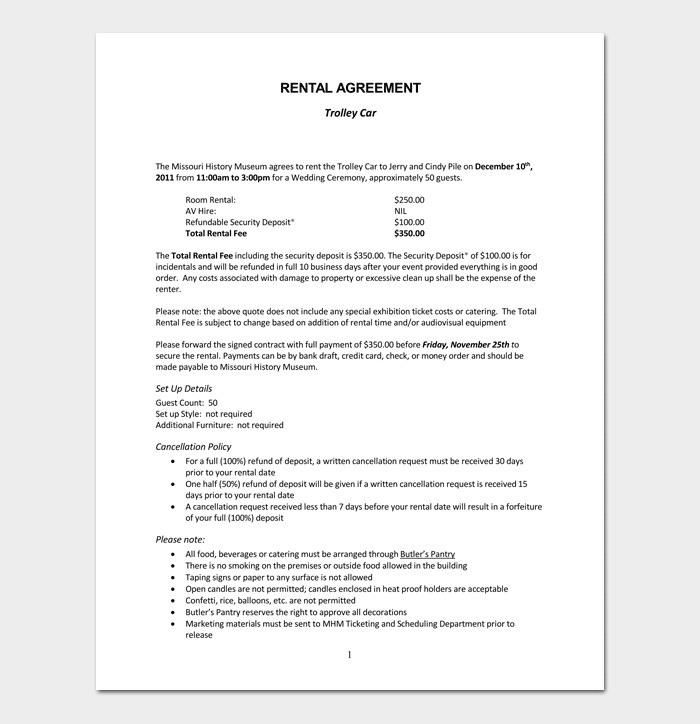 Basic rental agreement relates to parties that come into terms regarding using the rented house/apartment, business premises and the like. It includes the terms and conditions of payment, the period to reside, any repair and maintenance is spelled out clearly to whom it could be responsible. 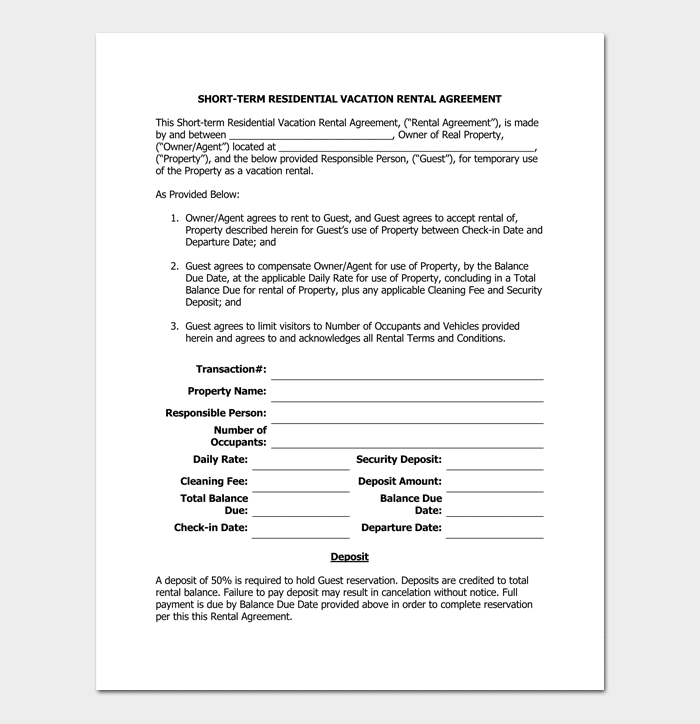 In case of vacating the rented place conditions and other agreement terms should be met. This is an agreement that is made between the owner of the house to let and the condition to include therein. This makes the exchange easy and sets out the required of each party. This agreement involves the number of people to reside, conditions of repair and maintenance, supply of water and power bills, any activity inside the premise compound. It also includes the payment terms either monthly, quarterly, or yearly. The specific agreement may be set out depending with the size of the room/s. This includes the cost and maintaining fee that may be charged in case of any damage. 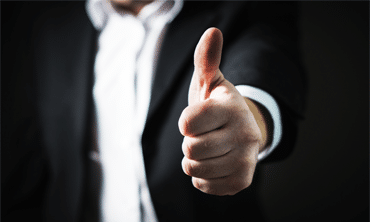 This kind of agreement requires a follow-up because tenants may change and thus it should lay out how it is supposed to be occupied or vacated. The bills of water and power should be spelled out to whom the burden lies at. Cars are usually rented in strict conditions. This makes it easy to control theft cases or misappropriation of the cars. The terms are simple and equivalent to the cost of the car or near that sum. One should have a guaranteed of the money/property. The number of days or time of car use should be specified. It also gives the conditions the car should be kept with before handing over and while returning it. The insurance cover and costs related to the car should be specified and responsible party notified. 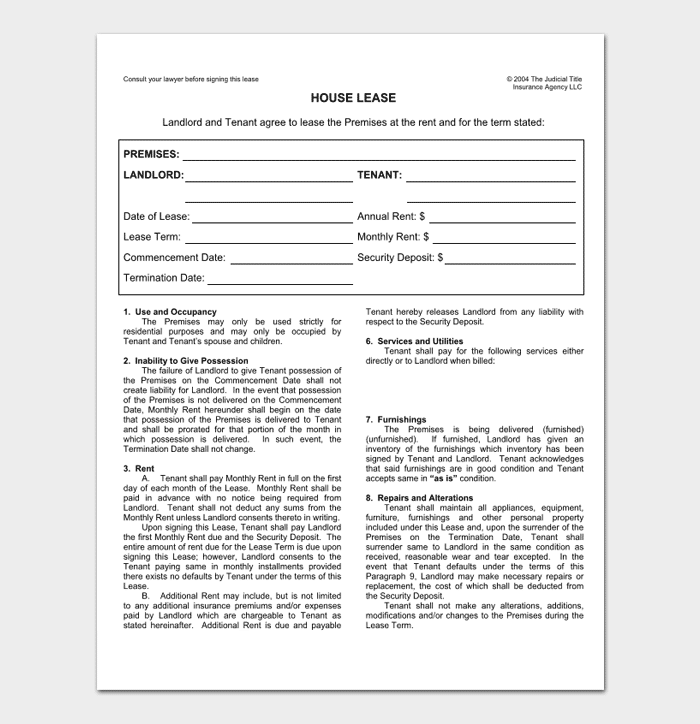 A lease agreement is the consensus of two or more parties for a given period, specified of time. It covers what and how the resident should be used and managed. In case of any changes or repair this agreement states it out. It specifies if the lease is expired, or runs out what follows either renewal or vacating. 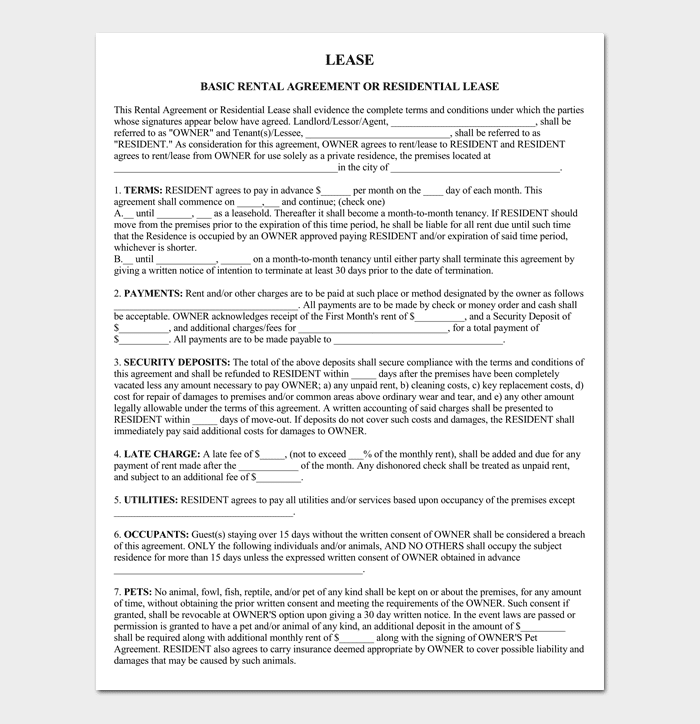 Since residential lease agreement acts like one’s home, the holder must meet all the expected charges or fee only that they cannot add permanent structure, or sell the place. A lease is an agreement between two or more parties that is signed with the consideration of time period like one year, ten or a hundred years. This takes effect from the signed dates till the time agreed upon expires. The payment can be done on installment, or wholly paid depending with the contract. On the other hand, a rental agreement is the condition in which an agreement is signed regarding the terms of the rented place or property. This takes effect basing on the time of making the payment annually, monthly or quarterly. It specifies the vacation and conditions to leave the rented place.